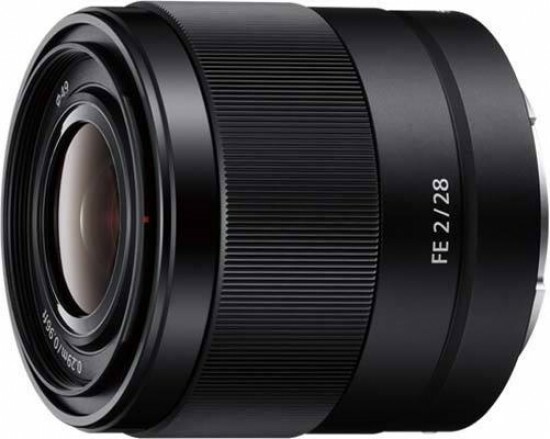 The Sony FE 28mm f/2 is a very competent and affordable wide-angle prime lens for the Sony full-frame compact system cameras. This compact optic delivers excellent sharpness in the centre of the frame almost throughout its aperture range, even performing well wide-open, although you'll need to stop down quite a lot to get similar quality at the edges of the frame. The Sony FE 28mm f/2 lens does suffer from distortion when shooting in the RAW format - the camera body automatically corrects this for JPEG files - but as a lot of owners will no doubt be relying on RAW file to deliver optimum quality, it does require some post-processing to remove it. The Sony FE 28mm f/2 offers quite fast and reliable auto-focusing on the A7S that we tested it with, intuitive manual focusing and an acceptable level of build quality given the budget price, plus it's usefully weather-tight too. All in all, we'd definitely recommend adding the Sony FE 28mm f/2 to your camera bag if you're in any way interested in wide-angle photography.